Nature based education aims to develop a sense of wonder, and an appreciation for the beauty and mystery of the natural world. It provides opportunities for children to experience the joy of nature, and promotes respect for other creatures. 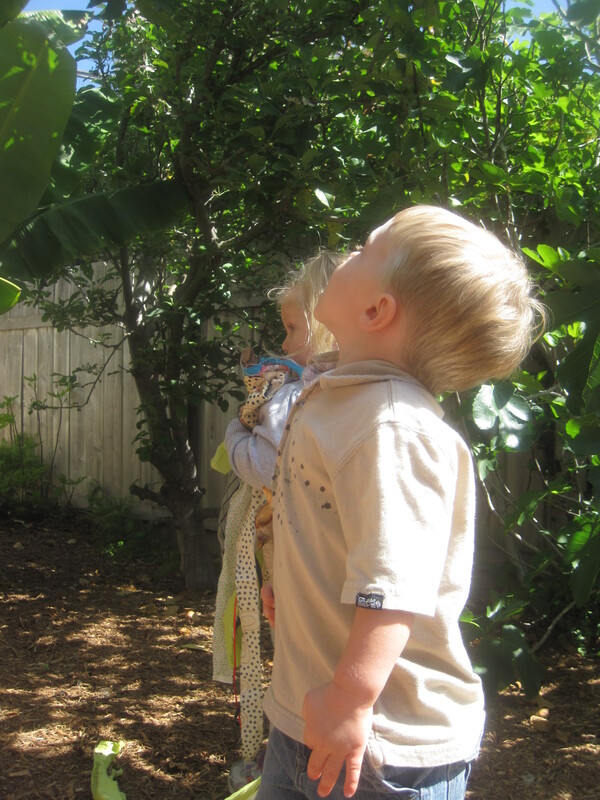 Simply put, we spend a lot of time playing, learning and growing-outside in nature! Spending time in natural areas allow children to engage themselves in learning, physically as well as mentally, catering to a spectrum of intelligences and learning styles. 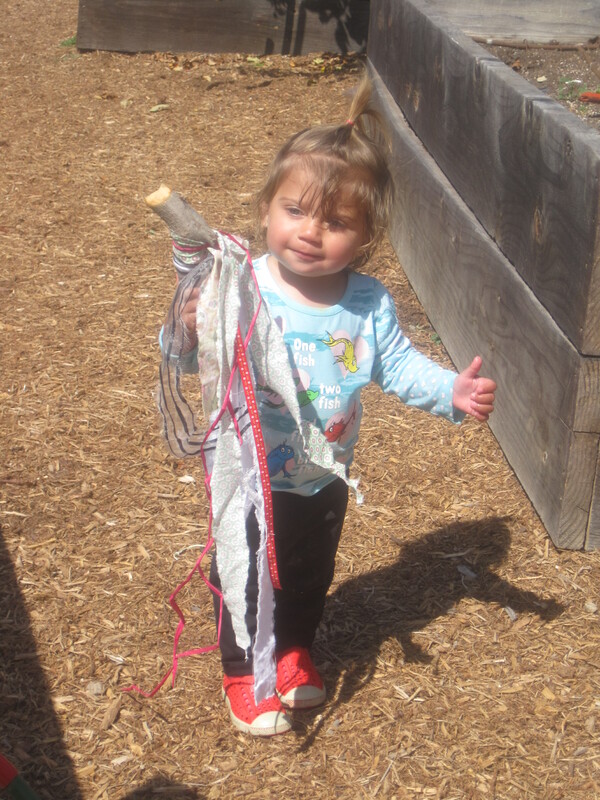 The approach to environmental education for early childhood learners is about free discovery on each child’s own terms. Your child will have extended opportunities to discover what they truly enjoy doing. The North American Association for Environmental Education advises: “Particularly for very young children, environmental education should incorporate exploring woodlands, getting feet wet, climbing rocks, building with sticks, running on grass, turning over rocks, following insects, stomping in puddles, and so forth.” I have attempted to create a natural area in our backyard where children can experience the joy of nature. It is my goal to continually improve our space. Numerous studies have shown that children grow healthier, wiser and more content when they are more fully connected throughout their childhood to the natural environment in as many educational and recreational settings as possible. These benefits are long-term and significant and contribute to their future well-being and the contributions they will make to the world as adults. 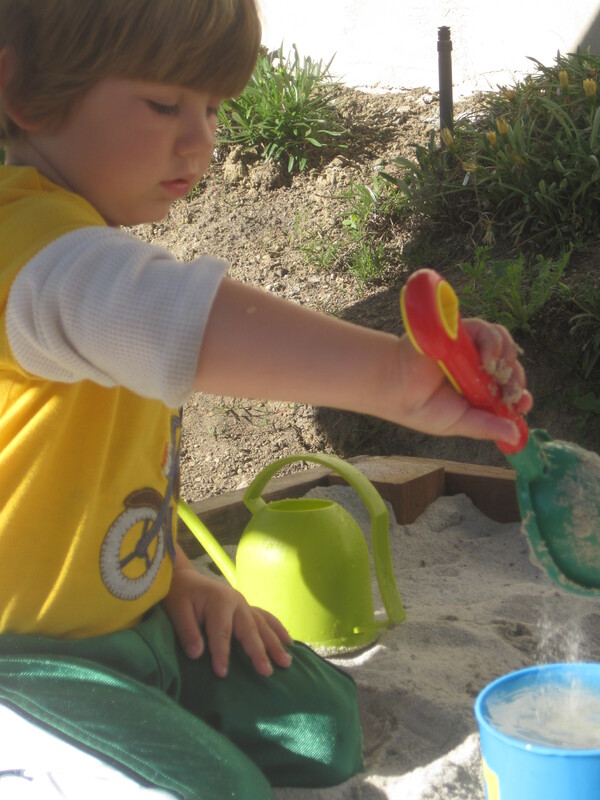 My goal is to provide a nature-based program where your child will have the freedom to play, explore, get dirty and make a mess. While our staff is always observing, we will allow for trial and error, and will be there when needed.